When will be Homestead Rescue Hacks Revealed next episode air date? 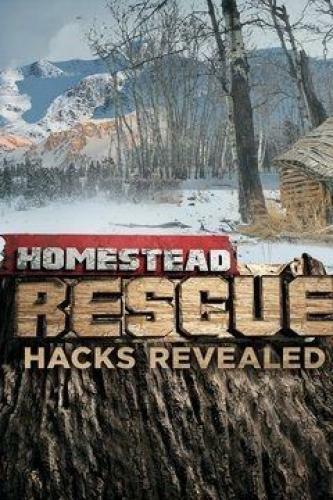 Is Homestead Rescue Hacks Revealed renewed or cancelled? Where to countdown Homestead Rescue Hacks Revealed air dates? Is Homestead Rescue Hacks Revealed worth watching? Homestead Rescue Hacks Revealed (also known as "Homestead Hacks") is a spin-off series from the Discovery Channel's "Homestead Rescue" series that aired in 2016. New homesteaders Josh and Kimberley Zabec left their comfortable middle class lives to start a free-range pig farm, but face hardship as predators kill their livestock. Marty reflects on the Garcia homestead in Colorado, where homesteaders live in fear of predator attacks and an unreliable power source. The Raneys must convince two young homesteaders to reign in their free-range ideals in order to salvage their off-grid dream. Marty Raney looks back on the Ettinger homestead in Montana, where the family faces predators and a lack of food and water. Homestead Rescue Hacks Revealed next episode air date provides TVMaze for you. EpisoDate.com is your TV show guide to Countdown Homestead Rescue Hacks Revealed Episode Air Dates and to stay in touch with Homestead Rescue Hacks Revealed next episode Air Date and your others favorite TV Shows. Add the shows you like to a "Watchlist" and let the site take it from there.